1. Apply a thick layer over your towel-dried face after cleansing. Leave on for 5-10 minutes. Avoid the lip and eye area. 2. Wet your face and neck, then massage gently circular motions. I use it on my nose which has large pores. this mask has a minty feel when applying it, it makes me feel fresh. When cleansing it off, I wet my face with water and start massaging the mask away while enjoying the scrubbing feel thanks to its little granules. this mask gave me an instant brightening effect. It also really gave me a smooth feeling on my skin upon cleansing.it effectively minimize my pores, really thanks to Bliv Glow and shine! This mask once apply i can feel the cooling effect until 10 minutes . It cooling effect for a long time and not like others just feel awhile of the cooling effect. Is very comfortable to use it, after 10 minutes i washed it , my skin feel smooth and fresh. Is very easy to apply and wash it off. Convenient and comfortable product. I wanted to try the deep impact too after this glow and shine. 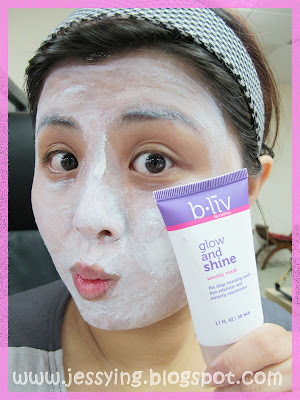 Love it :D I use glow and shine at night time after cleanser. It really works well to my skin. I really like this product. It makes my skin glow after I washed it off. My skin also appears brighter and tighter, especially on the nose area where my skin appeared smooth. I always apply a mask after that for better absorption of the mask. My skin more soften & brighter after used this product. Clean my blackhead & dead cell effectively. Used once a week at night after cleanser & will end routine with deluge me. i really love this product. after use it my skin became smooth and soft. I received this in a small pack when purchase no more shinny face set. The result of this product is amazing, my face is super clean and not oily after use. B.liv product never fail to amaze me!!! Really in love with this one. It has the cooling which is really great! It calm, relax your face. It also can relieve the stress that I have. It's really therapeutic! im 2nd time to use the sample, still feeling good. It really make a difference after first use of this mask. My face looks brighter and feels cleaner. The pores look finer too. It's a good exfoliator. Received this as a birthday gift and it's love at first use! It's incomparable with other scrubs I've used before as it has amazing immediate results. This mask is so refreshing and it cleans my face really well, leaving me a smooth and brightened skin. The blackheads on my nose appeared cleaner (they turned white) and was being softened, making it even easier for manual extraction later. This range of products works very well together with the blackhead range, I just wish I had the consistency in using them because I tend to forget and slack on using something continuously (particularly the blackhead gel, haha). Despite that, it's still a brand that I would recommend to my friends although it's a little bit high in price. I really love this kind of product. my face is glowing after the application of this product. It also has the cooling which i'm really in love with..
after used this product, my face seem like smooth, and shrank my pore too, but dont know tomorrow my pore will same with before or not. I got this as sample. After one time usage, I totally falling in love with this mask. My skin feels smooth and soft. I like the cooling sensation a lot! got this in sample size and tried it, cooling effect (no burning feeling). face feels clean after washing off. will purchase full size if there's promotion. Just after use i can see that my face is whiter and more smoother. its have a very nice minty cool like feel after wash and i love it. when washing it feels like it massage all over your face. it feels really clean after washing. I have used glow and shine around 5-6 times now and I really love it a lot. It has a nice scent that isn't too strong. 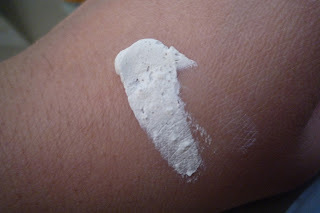 The beads in it are slightly rougher than what is usually in the product of other brands, but it was what I wanted as it really scrubs away the top most layer of dead skin and leave my skin very smooth after using it. This mask brightens the skin and makes it softer and smoother. It unclogs pores and removes dead skin- -the result is apparent immediately after use. Although I haven't noticed any reduction in pore size, using this mask weekly helps lift the dull-looking skin. I use this to exfoliate my face before apply deluge me for overnight. It exfoliate effectively yet gentle. Highly recommended. I totally love this product! Everytime after I used the product, it removes all the impurities, leaving my skin smoother and brighter. Not only that, my beautician commented that she has seen tremendous improvement in the size of my pores! This is my favorite exfoliating mask. I have been using it for eleven months now. I use it once or twice weekly. I only apply a thin layer, leave on for 5 mins, wet my hand and scrub, wash off and TADAA! Healthy and glowing skin revealed. 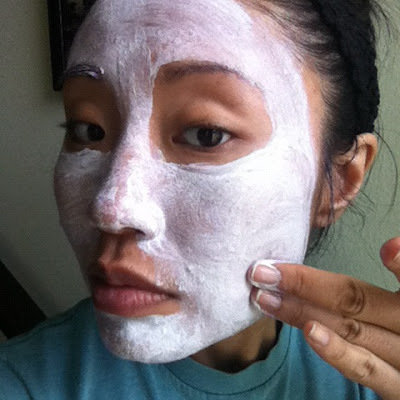 After exfoliating, I complete my skincare pampering routine with a sheet mask. I feel that after exfoliation, my skin can better absorb all the goodness of the sheet mask. This tube is able to last for a year. So it is definitely worth every penny. Got this as sample and I really love to apply this scrub mask after whole day of skincare/make-up. My skin feels smooth and soft after just single usage! 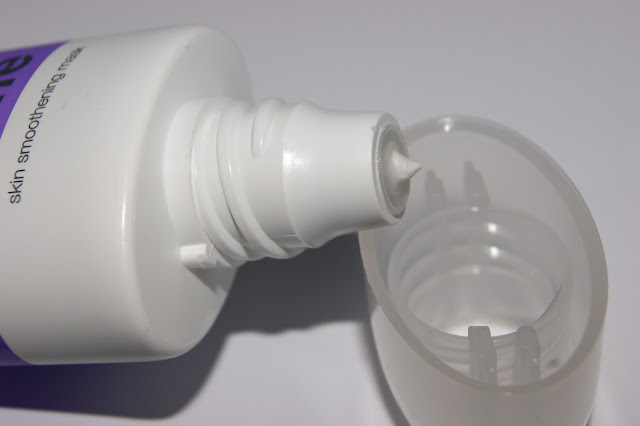 You need to clean your face thoroughly before applying any facial products for better result/absorption. Will purchase this product soon! 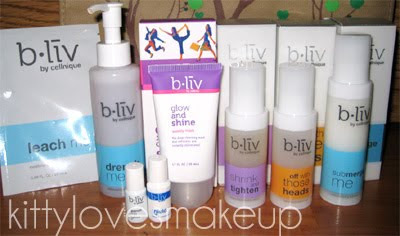 This is another product from b.liv which I really love! 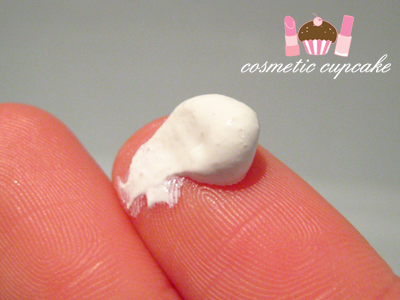 I have a dull bumpy dry pimple skin and I came to know of this product. After just 2 to 3 usage I can really see my skin became brighter and my pimples became smaller and my bumps are lesser now. This product is highly recommended. This is an awesome mask! It makes your skin feel so cool and smooth after one time usage! I like the cooling feeling a lot! 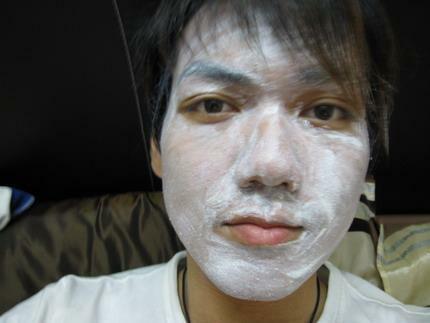 I use it once a week and after that I put a silky mask~ My skin become like a baby skin one day after! Bliv, you're amazing! Glow and Shine is my weekly routine. It helps to scrub away impurities leaving skin softer, smoother and brighter! Let me think the most favorite place is the flavor of product, a kind of fruit aroma, very special, is the general mask products all have no! I itself attaches great importance to the sense of smell, it smells smelly or eccentric protect skin to taste is absolutely can't use... Trial result is good, and his face became bright and white, the skin becomes tender! In general, this mask is good, although it is frosted but is relatively mild to skin. Fortunately, it is a small scrub mask, a bit sting on face, however, my skin is sotf and fresh after all. NICE!! my skin is sensitive ,so I have been use scrub mask before, I have a friend told me it good for her , her face is sensitive too . so I tried it and feel not bad . now I use it once a week. love the smell. my skin looked brighter and my pores are smaller after use this mask. it is easy to apply and wash off. smell good and very gentle. the effect is not bad. make my skin smooth. This product is really effective for oily skin. I am so happy that I bought this product. First of all, I really really love its smell. It smells really good. It also works for oil control on my face. After I put a thick layer on my face for 5-10 mins,I usually wet my face first and use the small grains contained to exfoliate a little bit. After washing it thoroughly, my skin is just feeling so smooth and soft, and looks so clean and radiant. This mask only takes five to ten minutes, it is a quick refresh mask for busy people, very convenient to use. Recommend people with oily skin to buy it. Try it and you will get surprised. My first purchase with b.liv, it really give me a lot satisfaction. as the instruction mentioned to have a thick layer, so i applied a thick layer, after i wash it off, i feel that all my whitehead is 'float' up on my pore, it is remove easily however I was dislike it initially due to the outcome. My whole face is very oily as all the whitehead is 'float' on top of the pore. However, my face become very bright the next day when i wake up and no redness even though I squeeze the whitehead the night before. Therefore, i decide to give it another try after a week. The 2nd time, i tried a thin layer which it turn up a very good result and still have some whitehead as well, but not as tight and oily. Well, i think you need to shake it before use. As my product comes out with clear fluid without shaking. I think more instruction is needed for this product. I would certainly recommend this mask to my friends! It does a good job of exfoliating your face and leaves it clean after u wash it off. You can tell the difference from the first time. My face is brighter and looks more radiant. And its also smoother now. However, as far as my pores are concerned, there is still no visible difference yet - probably because it's only my first time using the mask. One more thing, after you wash off the mask its so easy to squeeze the blackheads! I love this mask! It's my first b.liv product! After reading about b.liv on a random magazine, I was persuaded by the good reviews and decided to try it out! I was pretty amazed after my first try of the product. I have big pores on my noses and many blackheads and whiteheads. 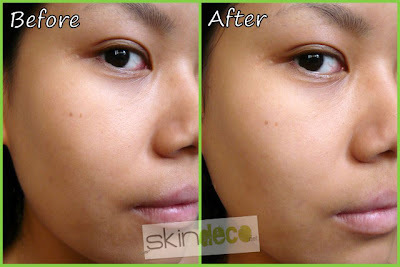 After my first try, I can immediately feel that my skin was softer, and the blackheads and whiteheads are less obvious. My skin felt tight, and the pores are cleaner and smaller. Skin was also brighter and fairer. In conclusion, I would rate it 9/10. Its definitely worth the price, especially if you buy through this website (so much cheaper than retail shops!). 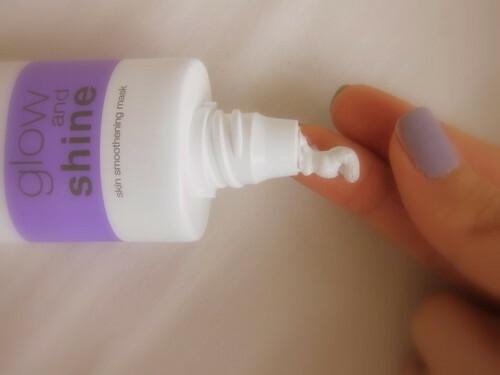 It solves my problematic skin and I'm definitely gonna continue using it! This is a review made by echoli on youtube.